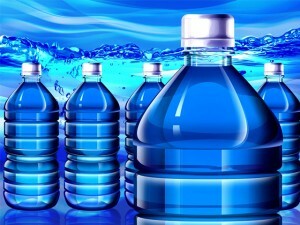 Arkansas Department of Health officials announced on May 4, the results of the laboratory tests conducted on random samples of Mountain Pure Bottled Water. Results showed that the samples tested were found to be contaminated with biological organisms. In relation to this announcement, the company has also announced that they have ordered a recall for the specific lot that was tested. The affected samples were taken from a bottled water shipment that was ordered by Clinton City. The bottled water products were going to be used for those who were involved in disaster response. The affected lots are marked with a military time code in 4 digits. This time code is etched in the bottle container of the water. The ‘best by’ date is also indicated on the product. The affected time period is from 2200 until 0400 and ‘best by’ dates indicated are from 2-27-2013 MPWA until 2-28-2013 MPWA. The purified drinking water product has a total volume of 506 ml or 16.9 fl. oz. Although the samples taken need more testing to identify what specific type of organism has contaminated the product, the Arkansas Health Department has recommended to the company that the entire lot should be recalled. The company has heeded AHD’s advice. According to AHD Branch Chief ,William Mason, MD, MPH, there is a low possibility of a healthy person becoming ill by drinking the affected water. However, for those who have weakened immunities, serious health risks may occur. People who have bought the affected Mountain Pure Bottled Water are urged to either discard it or return it to their place of purchase. They may also call 501-568-3540 for any concerns regarding the recalled product.